Are shorter games worth their asking price? I’ve had plenty of opportunity to review and play all sorts of indie games for NovaGamer in the last few months. From Papers, Please to Evoland, I’ve seen worlds and experiences that may not have happened if not for the proverbial price tag on the box. Most new indie games launch with the intent to get their game purchased by as many people as possible – word of mouth and Let’s Plays showing off their title for better or worse – and the common “sale price” at launch almost ensures some players are going to put their money out front, providing the developer with a better return overall. This benefits both sides as typically, players get a decent couple of hours for a discounted price, and developers get feedback on their games and can build notoriety. From the player’s perspective however, you can get burned. Sometimes you pay for an incomplete project, or a short title that takes less than an hour to complete. But even these examples, you will come across gems that are worth every penny. Take Gone Home, as an example. This game is about experience, not length. In practice it probably takes about an hour to fully tackle it, depending on how much of the house’s contents you want to explore. There are a series of key moments that are triggered by pick-ups in the environment, and you don’t have to look at all the other stuff that has been painstakingly dropped into the mansion. But you can. From the start of the game, you start to piece together the story of a family like many others, one with problems and secrets – and as the story pieces itself together, I found myself imagining the “in-between” of what the game is presenting, and the emotions or feelings that would be appropriate for those situations. Around 60 minutes of game time and I was finish. $20, right there. Did I feel cheated? No, not really. Gone Home gave me story, presented in an interesting manner and ultimately, I wasn’t really sure how things were going to conclude at the end. I’m glad it did give a definitive finish line and wrapped the way it did. 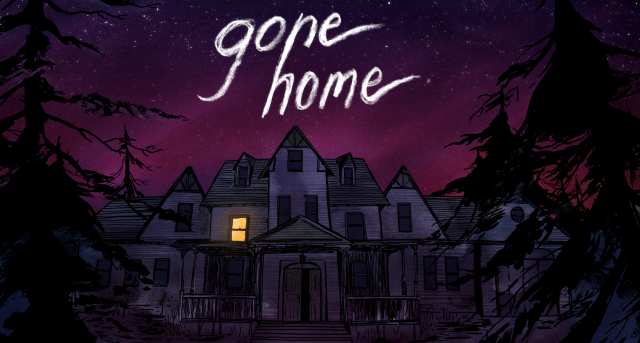 I got a movie or novel’s worth of entertainment out of Gone Home, and $20 seems appropriate considering the work done. Compare this to other critical indie successes. Hotline Miami is $10, Super Meat Boy is $15, Thomas Was Alone is $10, The Swapper is $15, Brothers – A Tale of Two Sons is $15. Some of these games are lengthy platformers, others are succinct experiences that you’ll play through maybe once or twice in a quick sit down. Are you losing anything by playing through something short, but well crafted as Papers, Please? I don’t think so. Is Papers, Please worth the $10? That is in the eye of the beholder. Personally, I’d rather plop down the $10 or $20 needed to play these types of games because its these developers who are pushing the market and giving us new concepts and ideas. I don’t need to drop $50 on something that I’ll need to play for 15 hours just to feel good about it. When you’re getting your wallet out deciding on the next game you’re going to invest in, consider the position of “does the length of this game affect my experience?”. What affects your purchase choice? Overall experience or re-playability? How does the cost affect either of these? Let us know what you think. Honestly length is not a determining factor for me. I look at over all experience and possible re playability…I wasn’t always this way, I guess with age I would rather play a really amazing short game then a terrible game that just drags on and on.